For a lot of people, spring is the time to get our motorhomes out of the garage and finally be able to say goodbye to thick clothing and thermal underwear! Spring break is just a few weeks away and now is a good time to prepare for the perfect spring motorhome vacation. If you’re not yet sure where to go or what to do on your vacation, here are some tips to help you along. There are numerous options if you’re still planning your spring motorhome vacation. You can go to at least a couple of dozen destinations, whether in Europe or in North America. 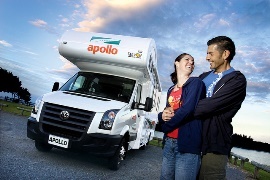 Each country in Europe has available camping spaces that are suitable for motorhomes. Going from one place to another is also not difficult as major highways are built to allow large vehicles to pass through. Stockholm, Sweden – This is the favourite of motorhome travellers because the city is very clean and laidback. It is also quite vibrant during the night and there are numerous architecture for you to enjoy. Lofotens, Norway – There are many beautiful fishing villages here and the entire city is picturesque. Just make sure you have a lot of time in your hands as you’re likely going to spend so much time just taking in the view. Vilnius, Lithuania – The city is colourful and clean and it’s fast becoming modern. But while there are new buildings being built, the old ones are still there so you can go there and feel like you have gone back in time. If you want to go on a spring motorhome vacation in the United States, make sure you go to the Grand Canyon National Park, Southern California, Orlando Florida, and Atlanta Georgia. The reason why is best to plan ahead is that not only will it ensure you will have enough time to save for your trip, but also so that you can make bookings and work on your itinerary early. Most camping sites will have some activities for you to do – whether it is fishing, hiking, playing or just sightseeing. Research on the place in advance so you and your loved ones can talk about the activities you can do while there. Also its alsways advisable to make a list of all the things you need to bring. This includes food, drinks, medical supplies, water, cooler, batteries, chargers, emergency lights, blankets, swimwear, insect repellent and every thing else that will help make your trip more enjoyable. Every family should at least experience a spring motorhome vacation once every couple of years so that they can spend precious time with their loved ones and be able to look back on such wonderful memories. Before you go, make sure you have motorhome travel insurance. The coverage usually includes emergency medical expenses, legal expenses, cancellation cover, and others. With motorhome travel insurance, you and your loved ones will have peace of mind knowing that should anything bad happen, you are covered financially.